The team went into the match with their #2 and #3 players sitting out, so they needed everyone else to step up to get a win. Quigley reported, “The top of our lineup scored great with Chase Gioffredi posting a match low score of 34 (-1) and senior Kyle Shaw shooting a career best at AVCC with a 37 (+3). 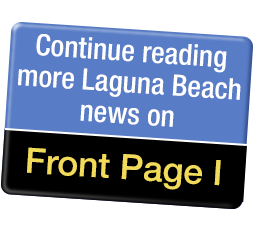 The top player scores for Laguna were: Chase Gioffredi – 34, Kyle Shaw – 38, Aiden Svenson – 42, Trent Ralston – 47, Cade St.Clair – 48, and Tai Diggins – 49.